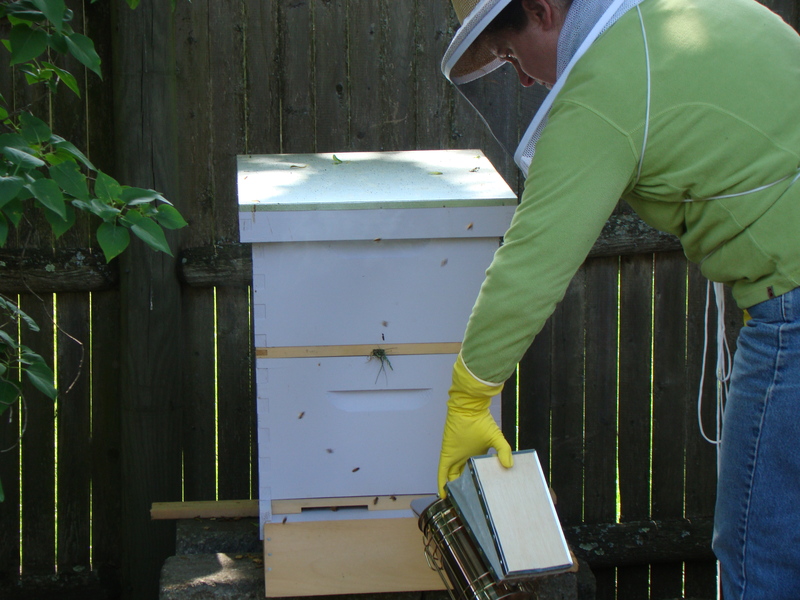 Even though I could probably do it every day, everyone recommends that I only open and inspect the hive once a week. I was so excited when Sunday came around, and I allowed myself to peek. This was the first time I was “on my own” though I wasn’t truly alone. Howard was there for moral support AND photography duty. He’s doing a marvelous job of staying brave, given that he was petrified when I announced my intention of starting the hive. I started with a little smoke to calm them down. Then I lifted off the top box and feeder, and took a peek at the frames. The bees are very busy. 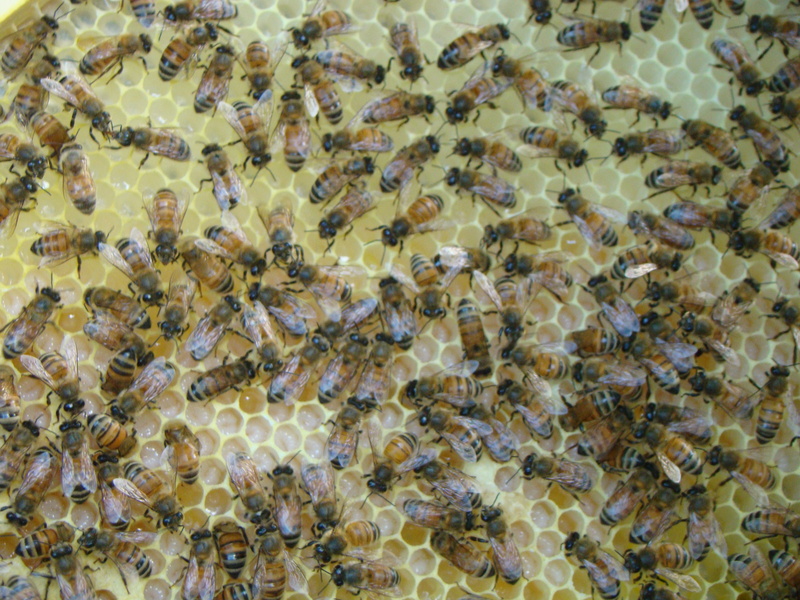 The queen is doing a good job laying eggs. This time, I could see eggs growing into larvae (see the little white crescents in the cells). 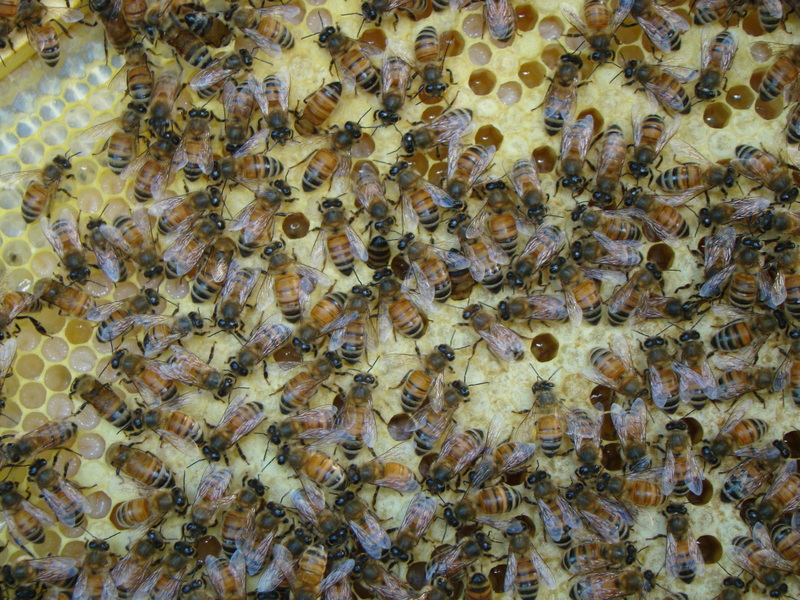 There was also capped brood, where the larvae were pupating and should hatch into baby bees twelve days after capping. I don’t know if I’ll see baby bees next week, but soon after! 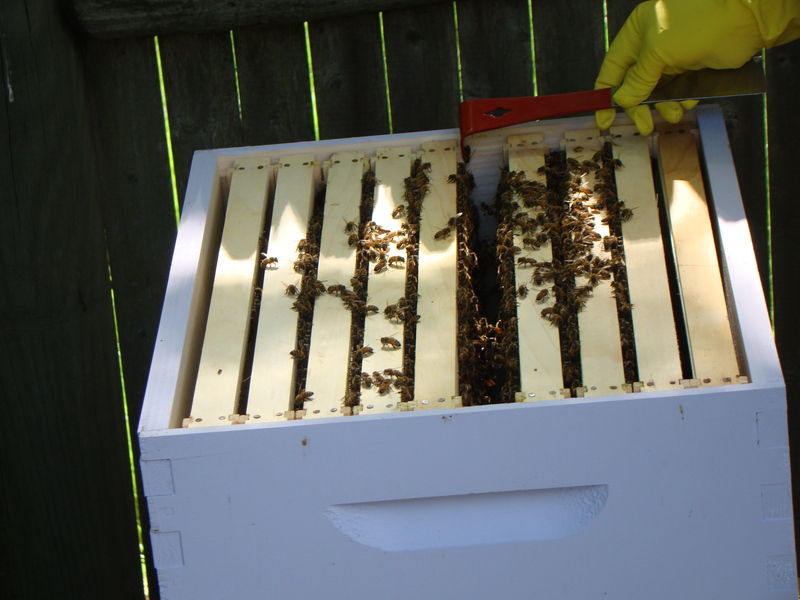 After an inspection of all the frames, I could see that the bees have drawn comb on about five of the frames, and two or three have brood. Then, I moved the frames back together and replaced the one I removed to make space to maneuver. Everything went back on, just the way it came off. 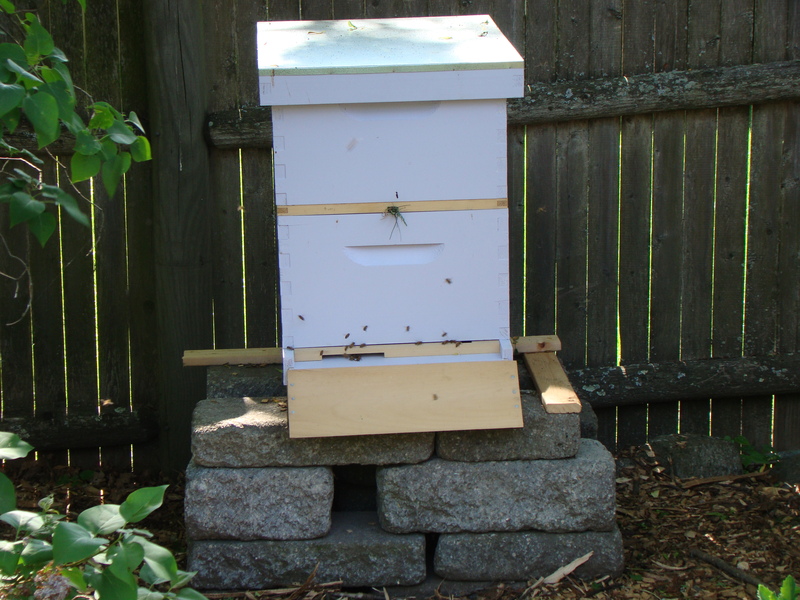 The hive is buttoned up tight until next week. I amazed how much I enjoy standing nearby and watching the bees come and go. They are very active, but I don’t know where they go. I hope that they are enjoying the flowers in my garden, but the only creatures I spot seem to be the bumblebees.